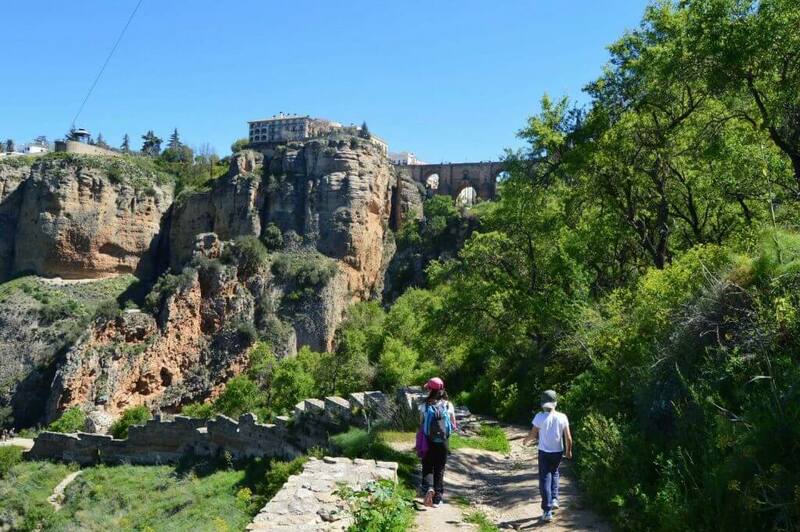 This is a relatively straightforward and linear walk around Ronda’s gorge – the Tajo de Ronda. The walk starts in the Plaza de Campillo (also known as the Plaza de María Auxiliadora) – shown below. 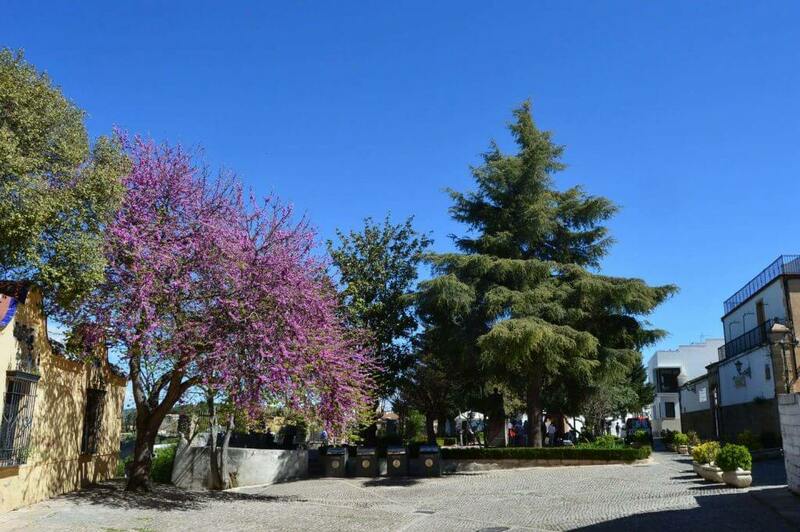 An exceptionally beautiful square, with two huge Pinsapo fir trees that provide welcome shade. These endemic Spanish fir trees date from the Ice-age. Take the small road on the left, there’s a sharp drop down into the gorge. The paved road quickly becomes a track and is very steep and fairly loose underfoot in places. 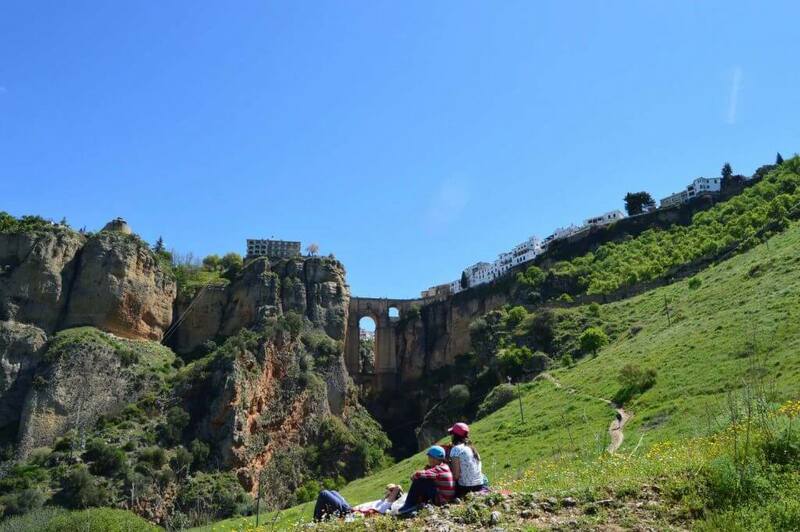 As you go down there are various spots where you can veer off and get a better look at Ronda’s bridge – the Puente Nuevo. The most iconic symbol of the city and known the world over. A true feat of engineering, the ‘new’ bridge was inaugurated in 1793, after 40 years of work. 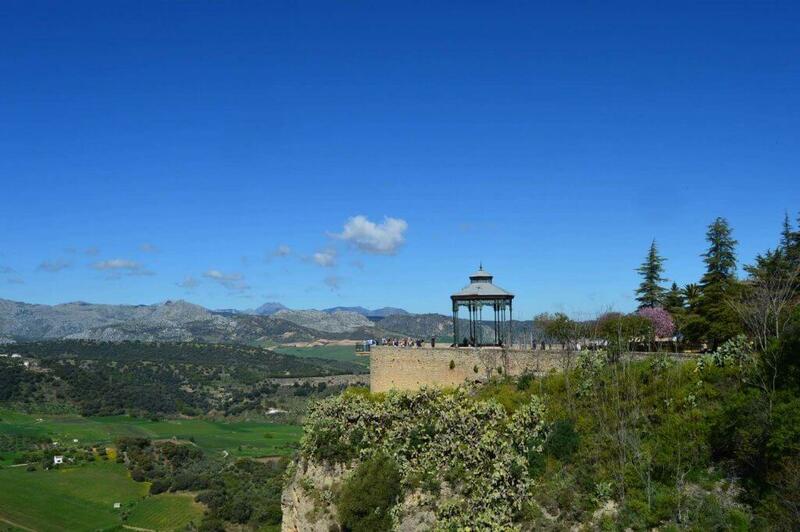 It stands at 98m and offers unbeatable views over the Guadiaro river valley and the Sierra de Grazalema. Once at the bottom, you follow the road as it winds through the abandoned flour mills – Los Molinos del Tajo. They were deserted after an earthquake in 1917 that destroyed much of the valley and killed 16 people. Today, there’s a small rural hostel at the base of the valley. There are also a couple of very easy Via Ferrata routes that start near here. Both of which go back up the gorge. The hostel can provide more information and guides if need-be. One of the routes is newly installed, the other is fairly old and decrepit (I’d bring rope as well). Both are technically very straightforward. Keep following the road as it winds upwards past farms and some lush vegetation. The irrigation channels and smaller farms date from Moorish times. There are plenty of tropical fruits, olive trees, various kinds of apple tree, figs, avocados, groves of orange and lemon trees….all interspaced with the usual rosemary, thyme, and lavender. In Spring, this section of the walk is an authentic garden of Eden. 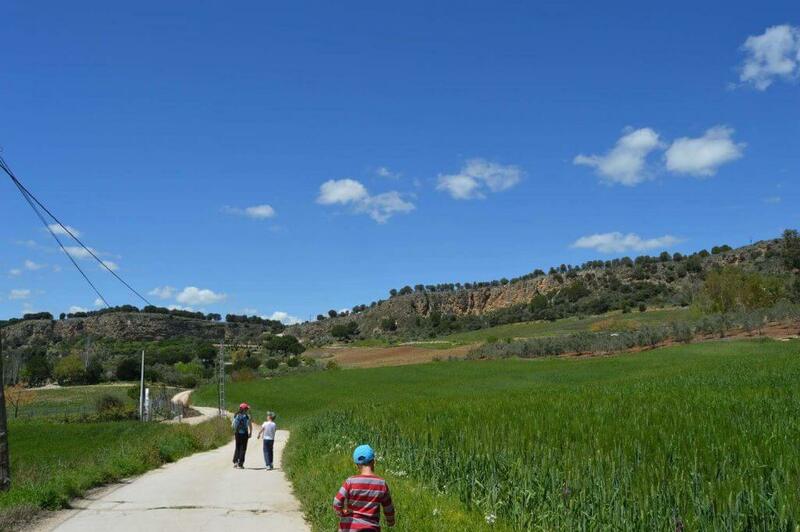 For the next couple of kilometres you are walking parallel to the Guadalevin river, which translates as the “river of milk” in Arabic. After crossing the river, the road veers off to the right and starts getting steeper (something to keep in mind if going with smaller children) – there’s a steep climb and you’ll eventually come to a wooded area. Keep your eyes open for a wooden sign that is labelled – PR-A 253 Ronda-Benaoján and GR-7 E-4 Tarifa-Athens. These paths are steeped in history. When Moorish troops under the command of Tarik-Ibn-Zeyad invaded the region in the early 8C, one of the first roads they followed inland was the old Roman route that linked Gibraltar with the Roman settlement of Acinipo (which was situated just 19kms from Ronda). The same routes we are walking today. When you see the sign, take a sharp right and follow this path as it clings to the edge of the valley. This track leads you back into Ronda and the iconic Barrio de San Francisco. A beautiful and easy walk that is suitable for children. 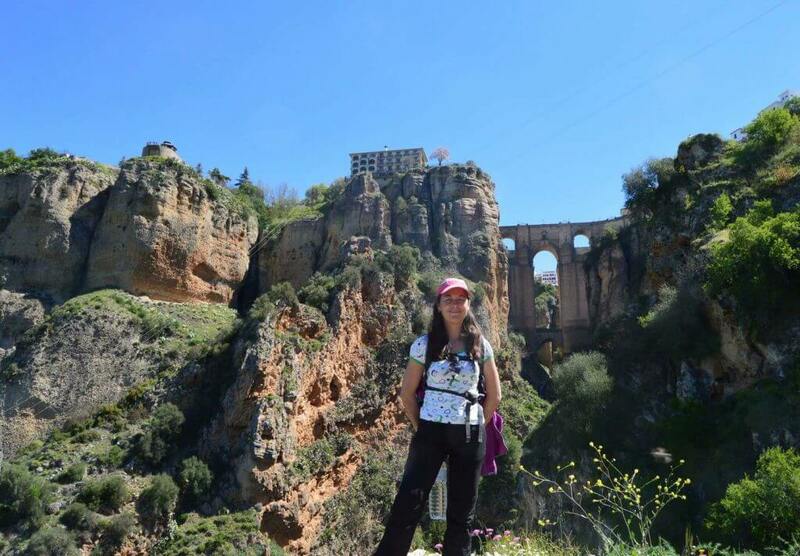 The views of Ronda’s Tajo and bridge are unbeatable. Bring plenty of water in the summer months and bear in mind, although short (just over 5 kms) – there are some steep sections for the smaller hikers of the family. For more information and the track – see here. We followed your instructions- a wonderful walk. Thoroughly to be recommended.